I underwent surgery on Monday, April 13. Recovery continued until Friday, April 17, when I returned to work. Despite being in recovery, I hoped that I could maintain the pace set last week with a record of 20,589 words. If so, I'd be on track to set a new record for this month. How did this turn out? Read on. On Monday, April 13, I underwent sinus surgery to hopefully resolve some long-standing breathing and infection issues. I wrote a very short journal entry (88 words) that morning and nothing the rest of the day, which was mostly spent sleeping or watching video on Netflix. I re-watched the first episode of the amazing Neil deGrasse Tyson Cosmos: A Spacetime Odyssey, the Futurama movie Beast with a Billion Backs, and Atari: Game Over about the recovery of Atari video game cartridges from the Alamagordo, New Mexico, landfill - as well as the demise of Atari itself. Tuesday morning, I awoke feeling OK given having just been through surgery. I wrote a journal entry (287 words). I also wrote a post about tablets for Windows Desktop Administration (2605 words). I added more words to my Douglas Adams article series notes and draft (1,325 words added). Also managed (2,007 words) some notes around the Mimas Object story. Daily total was 6,227 new words. Wednesday, I awoke not feeling as well as the previous day. Wrote a post about a Suntory beer that claims to make the person drinking it better looking (71 words) for Columbus Beer Scene. I watched a neat video of Kermit the Frog at TEDx Jackson on YouTube, from which some of this week's quotes below are taken. I read Robert Sheckley's Dimension of Miracles. Not feeling well, I pretty much slept the rest of the day. Managed a journal entry late in the day (371 words) along with some additional notes on the Mimas Object story (2012 words). Daily total 2,454 words. Not bad for a sick guy. Thursday I wrote a post for Columbus Beer Scene (103 words). I spent most of the rest of the day in bed. 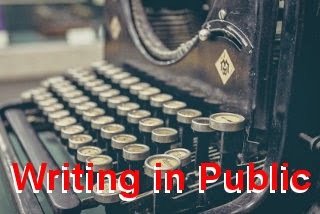 Friday I wrote a post for How To Write Fiction (1303 words). Saturday and Sunday I discovered the incredible time sink that is GTA V. I've spent far too many hours since then playing through that one. No words were written. None of the outcomes below happened. I underestimated my ability to recover from the surgery and didn't have as much writing time as expected. I did, however, allow the game to take up too much time on Saturday and Sunday - when I did feel better and could have been writing.